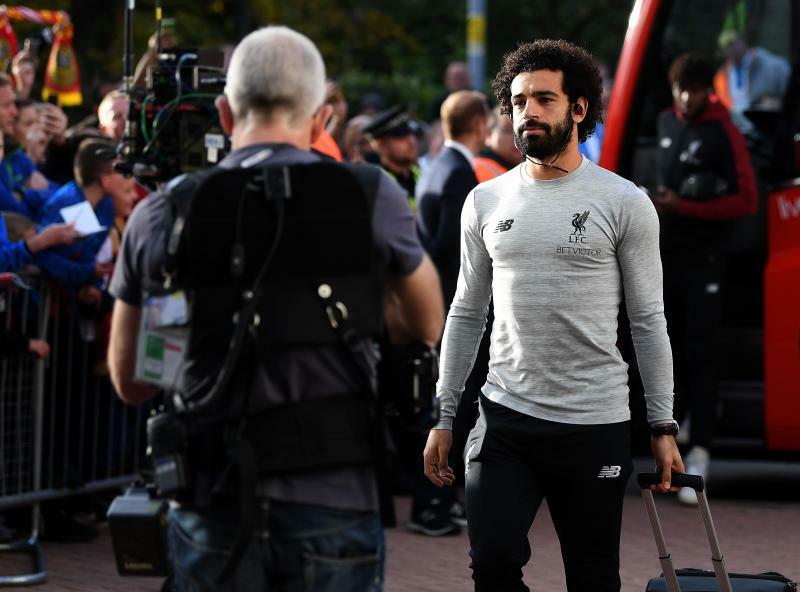 Mohamed Salah's first-half goal was the difference as Liverpool ground out a 1-0 win over Huddersfield Town at the John Smith's Stadium. 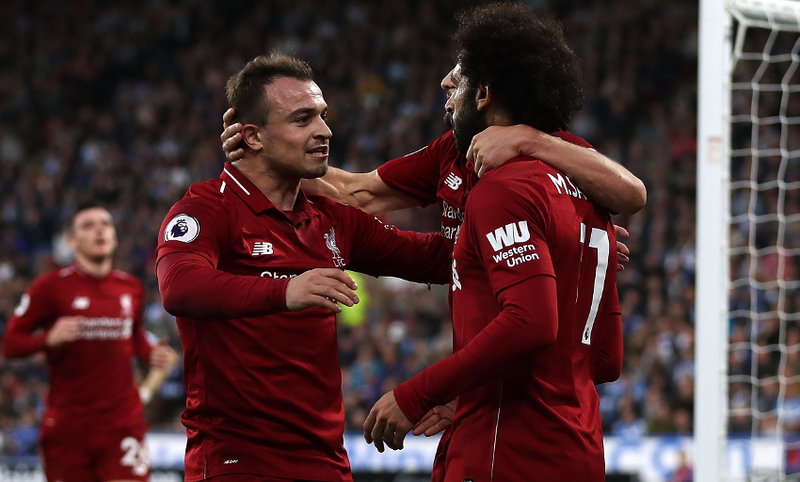 Liverpool clinch the three points after a hard-fought tussle with Huddersfield at the John Smith's Stadium. Mohamed Salah's goal after 24 minutes was the difference, but the Reds were made to grind out the result as the Terriers applied heavy pressure in search of an equaliser. It means Jürgen Klopp's side go level with Manchester City at the top of the Premier League table on points, but sit in second due to goal difference. Hogg makes way for Diakhaby in Huddersfield's final change. Firmino swipes well over after some near play created a shooting opportunity for him on the edge of the box. Salah wriggles into space inside the box but his close-range prod towards goal is saved by Lossl. Crucial block from Wijnaldum on Depoitre inside the box. Glorious chance for Huddersfield to draw level as the ball deflects off Lovren inside the box, but Mounie swipes well, well over the bar from yards out. Roberto Firmino replaces James Milner for the Reds' final change. Liverpool open up the Huddersfield defence down the left, but Schindler clears Robertson's low ball across the face of goal. 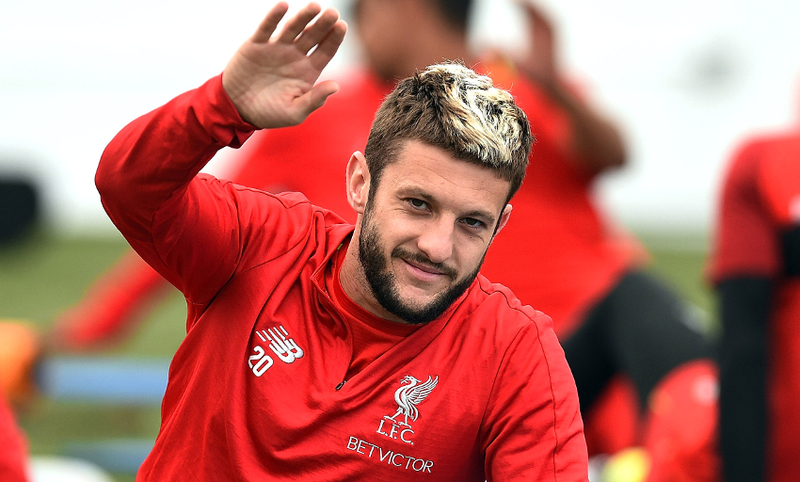 Liverpool's second change sees Fabinho come on for Adam Lallana. 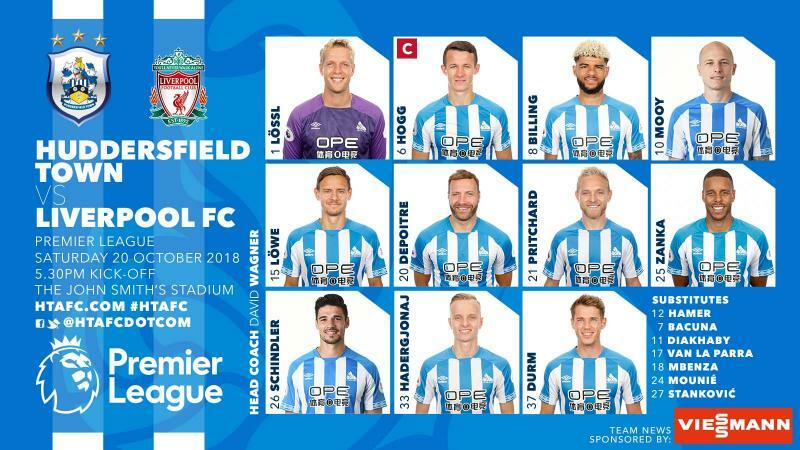 Huddersfield also bring on Steve Mounie and Isaac Mbenza in place of Philip Billing and Florent Hadergjonaj. Brilliant header from Lovren under pressure clears a Huddersfield attack. 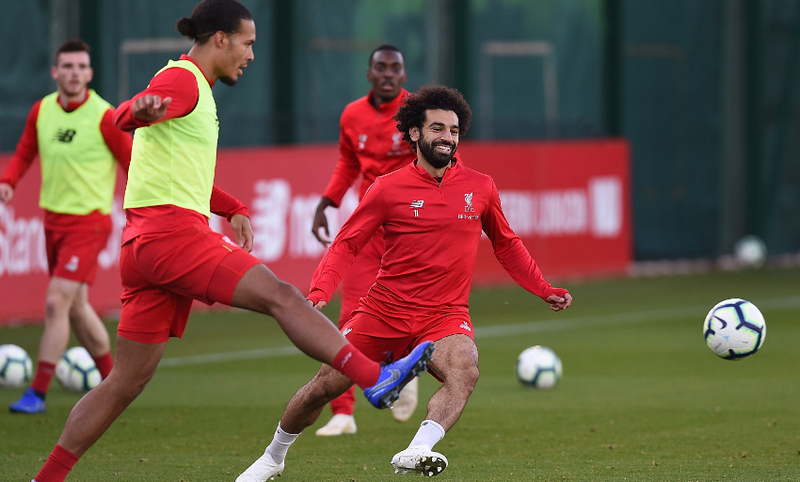 A brilliant cross-field pass from Sturridge is chested into space by Salah; however, he drags his eventual effort wide of the post. 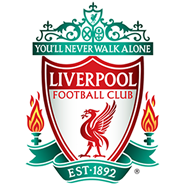 Van Dijk cushions Milner's deep corner back into the six-yard box with the side of his boot, but it's too close to Lossl. Depoitre rises to plant a header towards Alisson's goal from eight yards out. Thankfully, it's too close to the Liverpool 'keeper. Sturridge collects Milner's half-cleared cross, but curls over the bar. Robertson has an effort charged down inside the box. 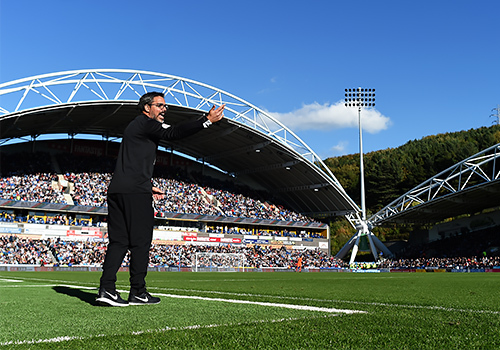 Huddersfield re-start the game at the John Smith's Stadium. A half-time change for Liverpool as Georginio Wijnaldum replaces Jordan Henderson. Mohamed Salah has scored his 50th goal for English clubs (48 for Liverpool, two for Chelsea). Mohamed Salah's goal means the Reds hold the lead at the half-way stage, but Huddersfield have threatened a leveller. Two minutes of added time to be played at the end of the first half. Now the home team have a goal ruled out after Pritchard prodded beyond Alisson from close range, but he's adjudged to have been in an offside position. Liverpool needing to stand firm here as this is Huddersfield's best spell of the game. Huddersfield want a penalty after a headed ball back in the Reds' box strikes Milner. The hosts claim handball, but the referee waves away their appeals. Billing is in space on the left of the area as Huddersfield counter Liverpool, but Gomez recovers to thwart him just inside the box. Billing takes aim with a free-kick from 25 yards out, which flashes inches wide of the post. Lallana is booked for a late challenge on Lowe. A let-off for Liverpool as Hogg takes aim from 20 yards with a sweetly struck half-volley that crashes against Alisson's right-hand post and flies clear. 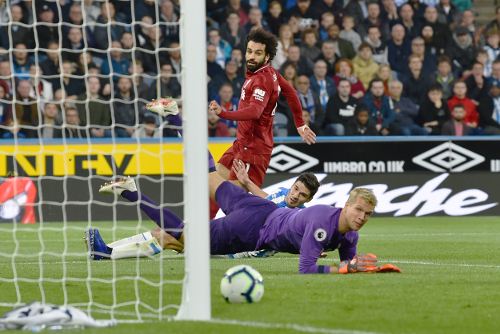 Mohamed Salah has been directly involved in three goals in three Premier League outings against Huddersfield (two goals and one assist). The Reds are in front at the John Smith's Stadium - and Mohamed Salah is back on the mark. The build-up was classy as Gomez's clever pass released Shaqiri in midfield, who spun into space and slid the ball through for the forward. Salah found the bottom corner with a right-foot finish across the 'keeper to make it 1-0. Now Shaqiri's half-volley from a long throw is blocked by Durm. Lowe is down inside the box for Huddersfield after Gomez's deflected shot from the edge of the area struck him square in the face. Shaqiri angles a ball into the area aiming for Milner's run, but it's just a touch overhit and goes behind for a goal-kick. Quite a lively start here at the John Smith's. The home fans are certainly up for it. Sturridge tries to slide Salah through on goal, but it rolls through to Lossl before he can reach it. James Milner starts the game and we're up and running at the John Smith's Stadium. 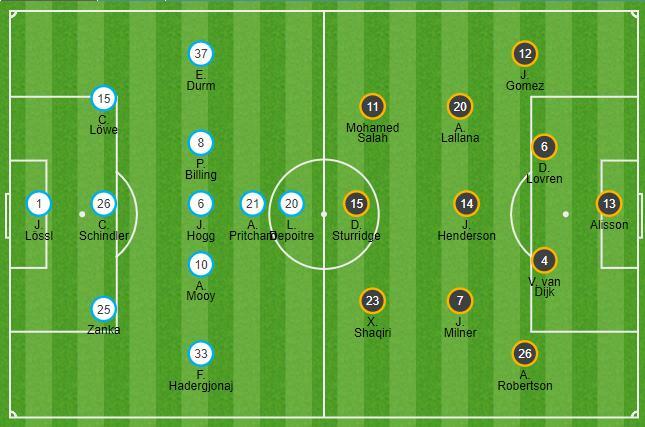 Liverpool make three changes for tonight's game at Huddersfield Town. 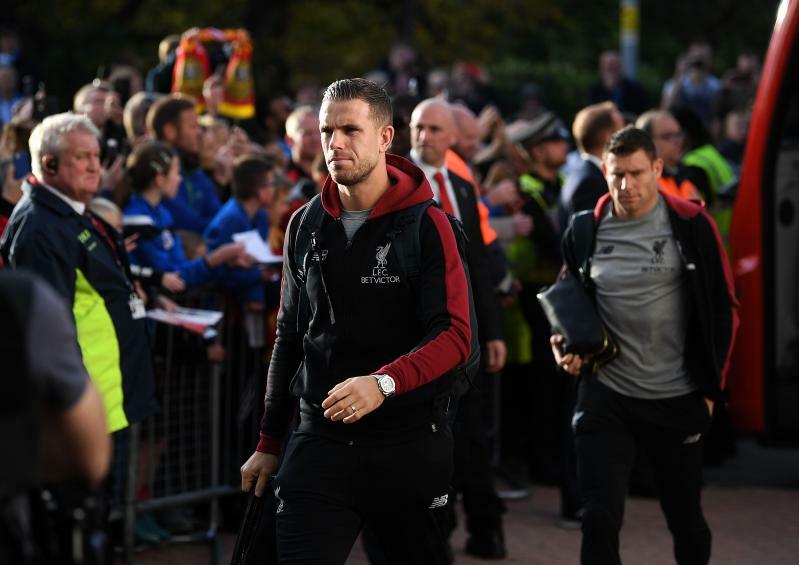 Adam Lallana, Xherdan Shaqiri and Daniel Sturridge start at the John Smith's Stadium, while James Milner, Virgil van Dijk and Mohamed Salah are also passed fit to begin the clash. 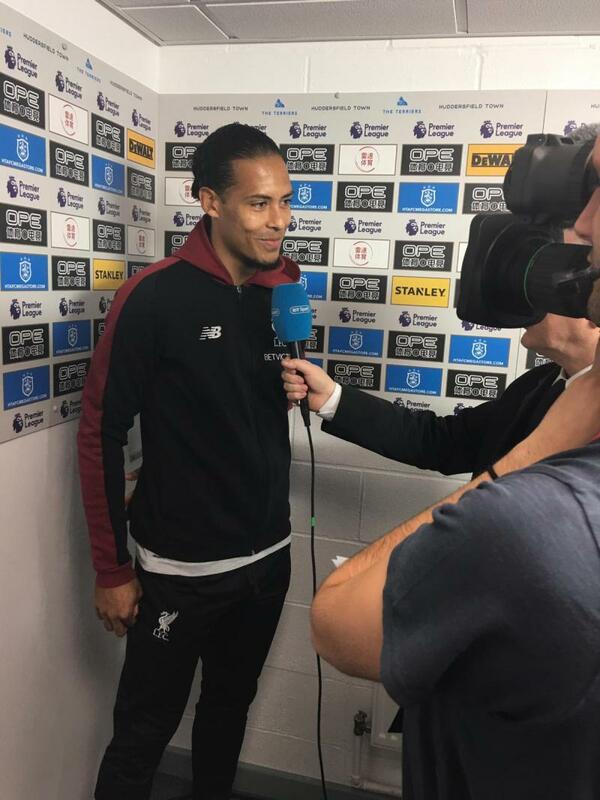 Pre-match media duties for Virgil at the John Smith's Stadium. Fancy a flutter? Click here to place a bet with BetVictor. 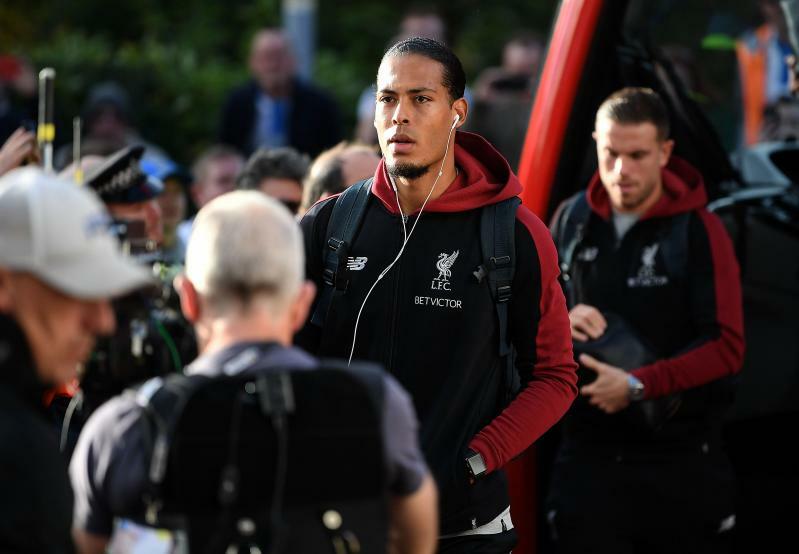 Liverpool will arrive at John Smith's Stadium very shortly and we'll bring you confirmed team news directly from the away dressing room at around 4.30pm BST. We'll then have live updates from the ground throughout the game as the Reds aim to get straight back to winning ways after the international break. 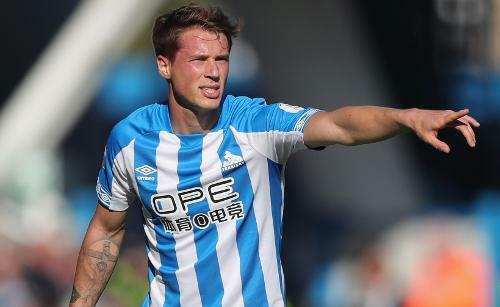 There’s praise for Jürgen Klopp in today’s official matchday programme from Erik Durm – the Huddersfield defender who he worked with during his time at the helm of Borussia Dortmund. It was while in charge at the Westfalenstadion he brought through the youngster and converted him from a striker to a full-back, enabling him to go on and become part of Germany’s World Cup-winning squad of 2014. “We had a special relationship and it was a special kind of coaching. He put so much belief in me, especially when he decided to teach a striker to defend and bring me into this position, and just let me play. The John Smith's Stadium is basking in autumnal sunshine on this fine afternoon in Yorkshire. Conditions are perfect. 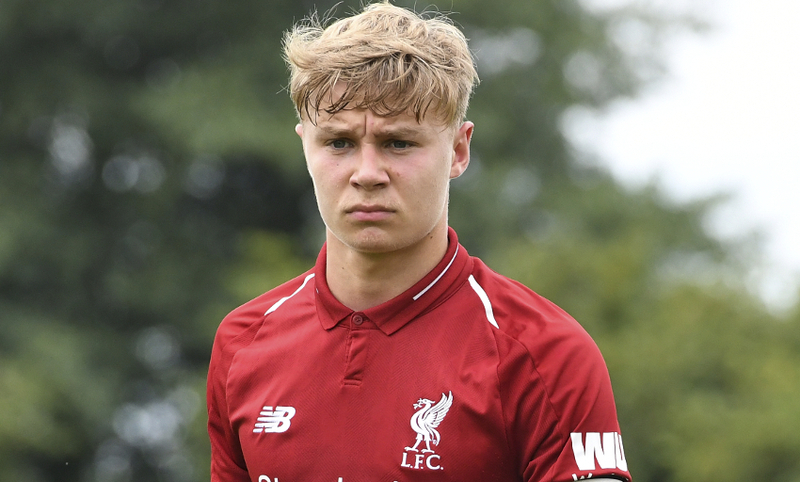 Liverpool U18s have started the day off well for the club with a 3-0 victory at Wolverhampton Wanderers - Paul Glatzel netted twice and Elijah Dixon-Bonner bagged the other for Barry Lewtas' team. David Wagner has warm words for Liverpool in his programme notes but insists his friendship with Klopp will be put on hold for the duration of this game. "I do not need to say anything other than it is always a little strange to see your friend in the dugout, but for 90 minutes we will put friendship aside tonight. 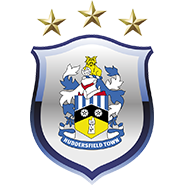 Huddersfield Town is too important for me to do anything else. "Under the floodlights, in front of the TV cameras, facing a team like Liverpool FC; this is exactly the reason that we all celebrated so hard at Wembley back in May 2017 when we gained promotion from the Championship! As such, we do not fear the challenge; we embrace it and will meet it head-on!" There are bright skies this afternoon and thermometers are showing a temperature of 16 degrees, which is expected to hold until the 5.30pm BST kick-off. Sounds like lovely conditions for football. Enjoy exclusive build-up to today's game, highlights and interviews and much more by joining LFCTV GO - with a free month on offer, too. 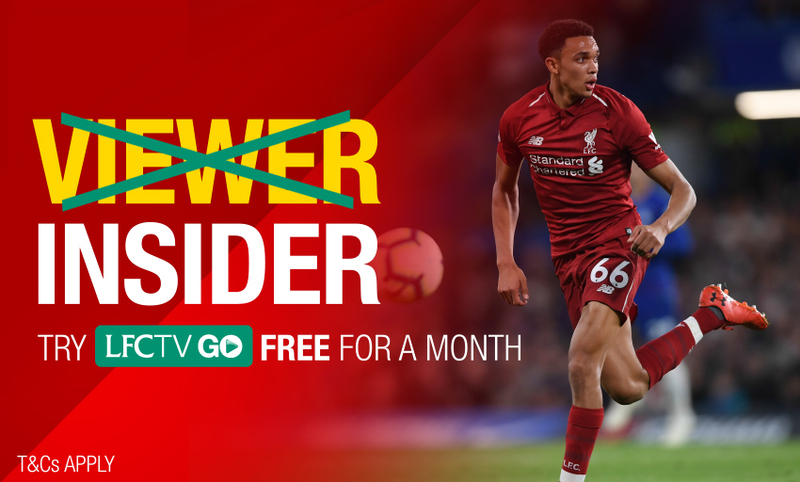 Subscribe now and you can follow the Reds as they continue their Premier League and Champions League campaigns, as well as comprehensive coverage of the U23s, U18s and LFC Women. "At home especially, they are unbelievably lively, the mood in the club is still really good, you can see in the stadium the atmosphere is good. Obviously the people of Huddersfield don't forget it is a special story they write - and special stories have some ups and downs. "At the moment, results-wise there were a few downs, but performance-wise they were stronger than last year and that makes it more difficult." Naby Keita is set to miss out after suffering a hamstring strain on international duty, while Sadio Mane is a doubt following surgery on a hand injury this week. 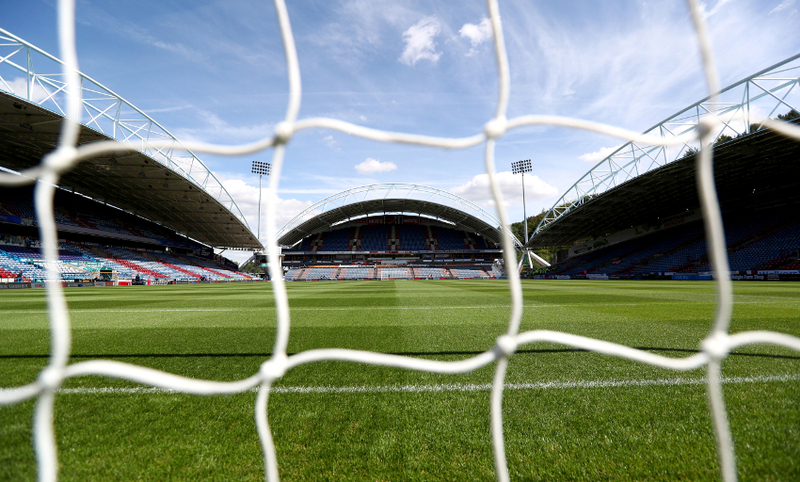 Huddersfield will be without Tommy Smith, Terence Kongolo and Danny Williams but Wagner expects to have Philip Billing at his disposal. 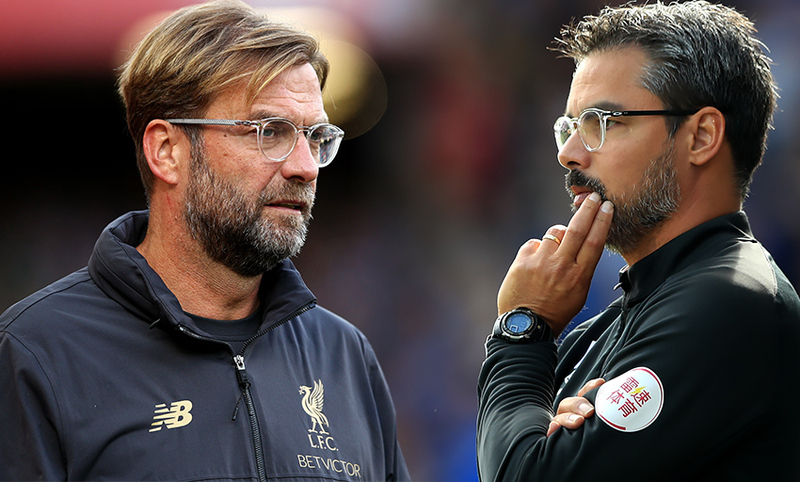 It's third-from-bottom v third in Yorkshire today but Jürgen Klopp has warned of the 'trap' of underestimating a Huddersfield side he believes are performing better than their points tally suggests. 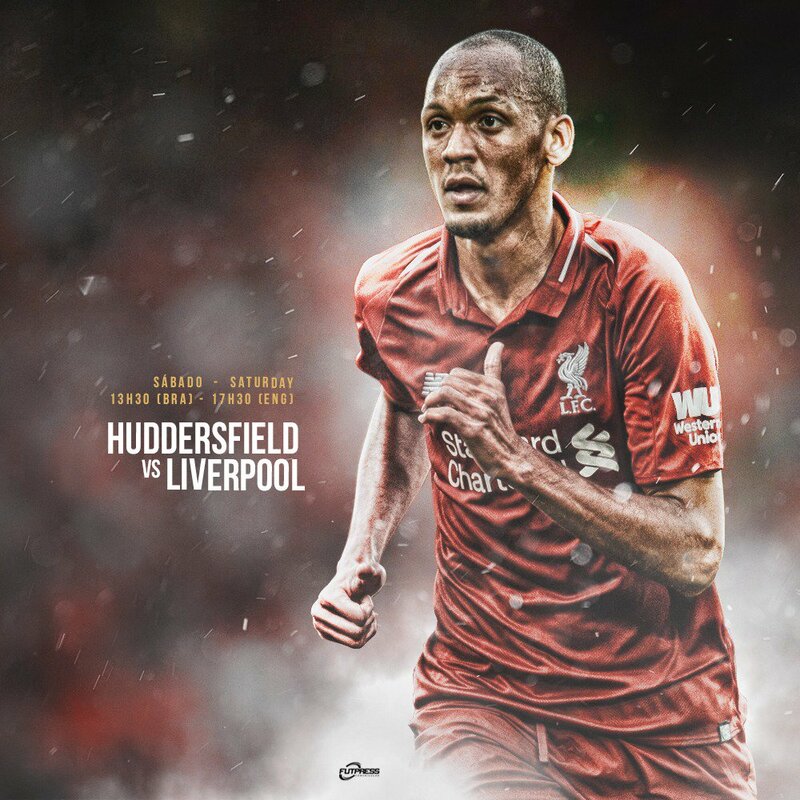 The Reds are back and that means live matchday blogs are back - with Liverpool set to face Huddersfield Town at John Smith's Stadium in the Premier League today. Stick with us for build-up, confirmed team news, updates from the stadium and reaction throughout the day.